Stapleton Moms: What Does a “Baby-Friendly” Hospital Designation Mean? What Does a “Baby-Friendly” Hospital Designation Mean? 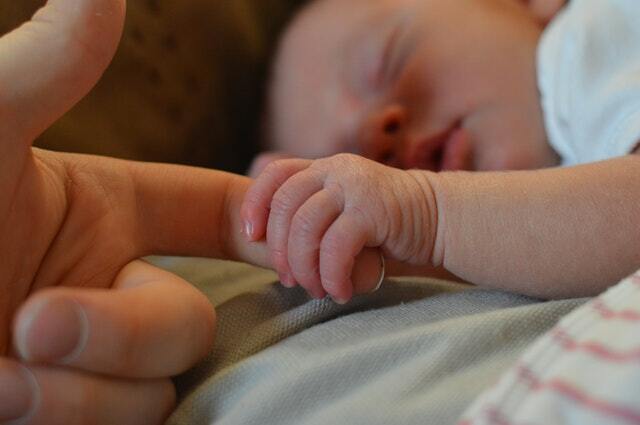 From time to time, we get asked the question of whether Rose is a “Baby-Friendly” hospital. Often, expectant parents in our prenatal classes and families touring Rose Medical Center are left wondering exactly what this means. Is it important? Should I be aware of it? Should I choose a hospital based on this designation? Baby-Friendly is an initiative that believes: “(1) human milk fed through direct breastfeeding is the optimal way for human infants to be nurtured and nourished; (2) the precious first days should be protected as a time of bonding and support not influenced by commercial interests; and (3) every mother should be informed about the benefits of breastfeeding and respected to make her own choice.” Hospitals have the option to complete the program and become a designated Baby-Friendly hospital. Practice rooming in — allow mothers and infants to remain together 24 hours a day. At Rose, we know that not all moms choose to breastfeed. We offer new moms assistance in breastfeeding, but when it is declined, we assist her with information on formula feeding and provide the supplies to do so while she is in the hospital. We support mothers’ decisions in this very personal choice. Rose honors many of the criteria for Baby-Friendly designation. We offer many types of breastfeeding assistance for new moms: All our mom/baby and nursery nurses are trained in lactation, and we have on-staff lactation consultants available every day of the week. Rose has an outpatient breastfeeding support group every Monday and a breastfeeding hotline for new moms as well. We offer skin-to-skin contact for moms that want it after delivery—for both vaginal and C-section deliveries, as long as mom and baby are both stable—and we give parents an opportunity to bond with their babies as soon as possible after birth for as long as they want the family time. We discuss formula and pacifiers with parents when asked, but we do not give either of them to babies without their parents’ permission. Rooming in is encouraged to support bonding and getting used to caring for an infant 24/7, but sometimes our parents need a quiet break to rest, so we make a lovely well-baby nursery available to families who request it. We invite expectant parents to visit Rose Babies, Denver’s “baby hospital” for nearly 70 years. Whether you want a low-intervention birth experience or you’re planning a C-section and want a warmer, family-friendly experience, Rose is committed to providing the delivery experience that is right for you. So, is Baby-Friendly designation important? While it is a personal decision for each family to make, perhaps what is more important than the label is the hospital’s policy and practice. At Rose Medical Center, we encourage, assist and educate about breastfeeding, while at the same time supporting each mother’s choices for her baby and her family. Check out these FAQs with Christi King! Christi King is the Childbirth Navigator, Parent Education Coordinator, and Rose Doula Coordinator at Rose Medical Center.